I Received an Order to Show Cause from the Massachusetts Division of Professional Licensure. Now What? An Order to Show Cause literally is a request to explain, justify or prove (or disprove) something. If you have received an Order to Show Cause from a regulatory board of the Massachusetts Division of Professional Licensure, it is essentially a complaint against an individual or a business that is licensed through the Massachusetts Division of Professional Licensure. It is a serious document and should be dealt with promptly. The Order to Show Cause will identify the regulatory violations, issues with your individual license or your business license, or other complaint against you (the Licensee) or the licensed business. The Order to Show Cause may also describe in detail a complaint brought against the Licensee or the licensed business by a customer, client, patient, student of your school and requires you or the licensed business to respond with an Answer to the Order to Show Cause. The Answer to an Order to Show Cause must filed within a specific deadline with the appropriate regulatory board within the Massachusetts Division of Professional Licensure. The Order to Show Cause will identify the deadline by which you must Answer the allegations in it. 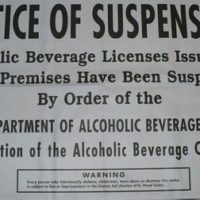 Failure to respond to an Order to Show Cause will result in a essentially a default, and the regulatory board will assess penalties on the licensee or licensed business. Those penalties can include anything from a small fine, to probation, suspension, or even revocation of your individual license or the business license. You should be extremely cautious when responding to an Order to Show Cause without an attorney. In fact, although many people have tended to respond to an Order to Show Cause and even appear at hearings before the Board without an attorney in the past, there is a growing trend of hiring an attorney to assist in these board-related license issues–especially where professional licenses and business licenses are concerned that require many years of schooling, vocational training, extensive permits and preparation or significant capital investment to satisfy the initial licensing requirements. The Answer to an Order to Show Cause is one of the first steps in what can be a complicated process. Not only can an attorney at The Jacobs Law Law, LLC help explain what the allegations in an Order to Show Cause are or mean for your license or your business’ license, but we can prepare the Answer to the Order to Show Cause and assist in formulating a strategy for handling the Order to Show Cause. We can discuss the allegations against you or your business with a representative of the Massachusetts Division of Professional Licensure and Board Counsel, and attempt to negotiate a Consent Agreement. A Consent Agreement is similar to a settlement agreement between you or your business and the Board, and it can be an important tool in resolving the complaints against you or your business–thereby allowing you and your business to stay in business. Alternatively, The Jacobs Law, LLC can help you fight the allegations in an Order to Show Cause, attend preliminary hearings with you, and prepare for a full Board hearing in defense of the allegations in the Order to Show Cause issued against you or your business. Once you or your business receives an Order to Show Cause, you may also be required to notify your insurance carrier. This is an important step in the process, and the notice you provide to your own insurer (whether in writing or by phone) will almost certainly be recorded. Everything you say or write to your insurance carrier can be used by your insurer to disclaim coverage (i.e. deny you or your business coverage for any liability that may arise from the allegations in the Order to Show Cause). This information could also be used against you or your business in the dispute with the Board. If your insurance policy requires you to notify your insurance carrier that an Order to Show Cause has been issued against you or your business, you cannot delay. There may be a specific deadline by which you must notify your insurance carrier, but it is generally within a reasonable time period. Any delay that prejudices you or your insurance carrier could be considered ‘unreasonable’ and may result in a denial of coverage. Therefore, it is extremely important that you contact a lawyer as soon as you receive an Order to Show Cause — your attorney will assist in and advise you throughout the process of notifying your insurance carrier. If you have received an Order to Show Cause regarding your individual license or your business license, don’t tackle it alone. Contact us at The Jacobs Law, LLC immediately–before the deadline to Answer the Order to Show Cause expires–and one of our attorneys will be happy to help you and your business. We urge you not to say or write anything in response to an Order to Show Cause until you have had an opportunity to speak with one of our attorneys. If you have received an Order to Show Cause from any of the Boards within the Division of Professional Licensure listed below, contact The Jacobs Law, LLC — we can help! We are “Your Attorneys for Life & Business“.